The discipline of infonomics takes you beyond thinking and talking about information as an asset to actually valuing and treating it as one. “Infonomics” provides the foundation and methods for quantifying information asset value and tactics for using information as your competitive edge to drive growth. Infonomics is the theory, study, and discipline of asserting economic significance to information. It strives to apply both economic and asset management principles and practices to the valuation, handling, and deployment of information assets. 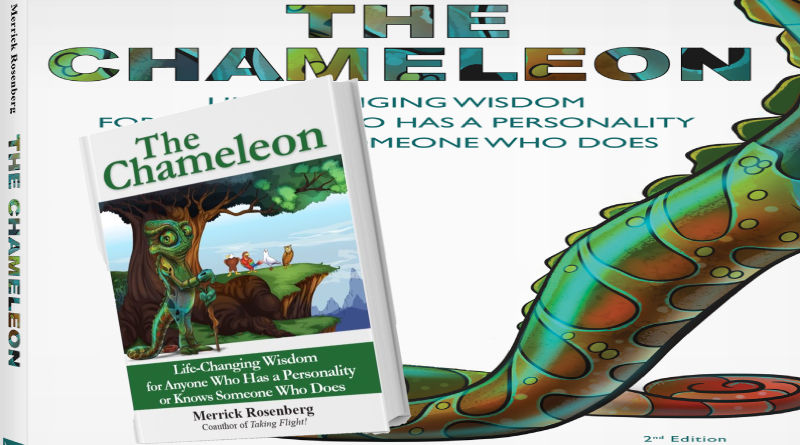 The three sections of the book explore how to put your information to work. Explores why information affords unique opportunities to be monetized both directly and indirectly and provides a range of examples to help justify the business case for further deploying your organization’s (and others’) information. Tackles the challenges and best practices for managing all forms of information as assets, including how to build an infosavvy organization. Cuts through the real and perceived impediments to measuring information as an asset, providing specific valuation models adapting key economic principles to help you begin quantifying the various aspects and impact of your information assets. Back in 1999, I casually and kind of tongue-in-cheek coined the “infonomics” term in a META Group research piece, before META was acquired by Gartner, and even before the first incredible Freakonomics book. It took a couple of years for me to realize that information isn’t formally valued, recognized or reported as an economic asset. From that moment onward, I was on a mission! And for the past couple of decades, I have been researching, working with clients, developing ideas, and writing articles on this topic among others. After compiling 3000 articles, papers and ideas in an Evernote folder on the topic of valuing, accounting for, and administering various kinds of assets, and having amassed over 300 examples of organizations monetizing information, it seemed high time to write a book. Thankfully Gartner has provided me with the ideal platform, surrounding me with dozens of brilliant colleagues and hundreds of enthusiastic clients over the years with whom to further explore and develop the infonomics concept. But being either too busy or too lazy (more likely both) to write three separate books on monetizing, managing, and measuring information as an asset, it’s packed it all into a single book. Feel free however to digest it as three separate books, focusing on one part or another, depending upon your role and interests. Why hasn’t our organization been treating information as an asset all along, and how the heck can we hope to thrive, let alone survive, in an increasingly digital world without doing so??? It would be great to see many of you in any of these roles take some of the ideas from the book on just how to do so, implement them, and build on them. Perhaps the book brings about a revolution of sorts, leading to the recognition of information as an accounting asset, and subject to the same legal treatment as other forms of property. Or maybe the book will compel some bright young economist to expand upon and develop infonomics into a new branch of economics, earning herself a Nobel Prize. But accounting regulations and the field of economics are not really my main concern. More than anything, I’m anxious to see how organizations that internally embrace and execute on these ideas and practices become tomorrow’s economic powerhouses. So I hope you and your organization’s other business leaders, technology, data and analytics leaders, and architects (at least) get the book. And that you each find it interesting, informative, and instructive. Or at least one of the above. Follow me on Twitter @Doug_Laney #infonomics #GartnerDA. And check out my blog on the Gartner Blog Network. Data is the currency of the twenty-first century. The problem is we don’t have good ways to measure its value. Doug Laney has put together a smart, practical book that applies traditional rules of business economics to the emerging information marketplace. “Infonomics is an important work, laying the foundation for an emerging field of study and activity. Most business leaders seem to oblivious to information’s near limitless reproducibility and reusability, and how its low storage and transmission costs, coupled with a high degree of software automation, can render it as an incomparable resource. “Along with people, many executives claim that ‘information’ is their organization’s’ greatest asset. Their actions, however, consistently belie their words. With regard to enterprise information, it’s high time that business leaders move beyond facile platitudes and paying lip service. Merely hiring employees with trendy titles such as Chief Data Officer and data scientist is neither necessary nor sufficient to capture the enormous value of information, but where to begin? “Data has been called the new oil. 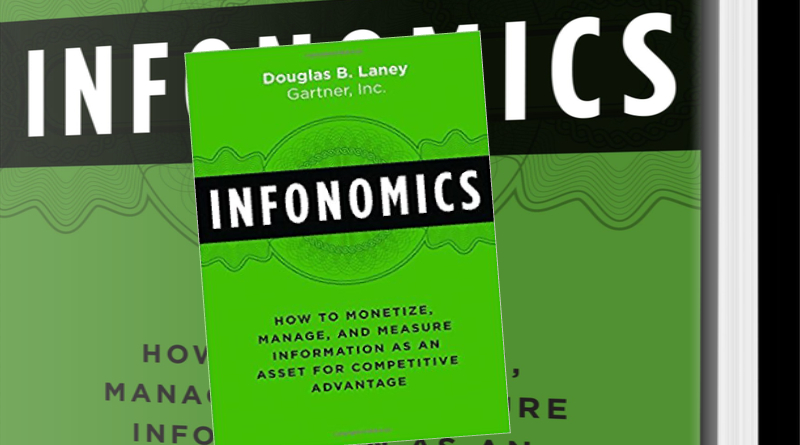 In his new book, Infonomics, Doug Laney outlines what it truly means to leverage data as a critical business asset. 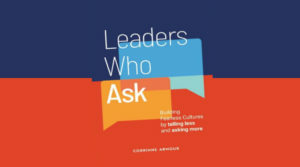 This book provides executives with the tools they will need to go beyond lip service and to actually behave like information is an asset that demands executive attention. – Randy Bean, CEO, and Founder of NewVantage Partners LLC, and thought-leader and contributor to Forbes, MIT Sloan Management Review, Harvard Business Review, and The Wall Street Journal. Doug Laney is Vice President and Distinguished Analyst with the Gartner Chief Data Officer (CDO) Research and Advisory team. Doug researches and advises clients on information monetization and valuation, open and syndicated data, analytics centers of excellence, data governance and big-data-based innovation. He is the author of Gartner’s enterprise information management maturity model and is a two-time recipient of Gartner’s annual Thought Leadership Award. You can follow Doug on Twitter at @doug_laney and on LinkedIn at linkedin.com/in/douglaney. He is an accomplished practitioner and recognized authority on information and analytics strategy and is a three-time recipient of Gartner’s annual Thought Leadership Award. Doug specializes in data monetization and valuation, open and syndicated data, data governance and big-data based innovation. In 2001 he coined the “3Vs” of volume, velocity, and variety, now commonly used in defining Big Data. Nearly two decades ago, Doug originated the field of Infonomics, developing methods to quantify information’s economic value and apply asset management practices to information assets. He authored the book “Infonomics: Monetizing, Managing and Measuring Information as a Competitive Advantage,” and lectures at leading business schools on the topic. In addition to his dozens of Gartner research publications and blogs, Doug is a contributing author with Forbes and Information Management Magazine and has been published in the Wall Street Journal and the Financial Times. He also edited and co-authored Forbes’ Big Data e-book in 2013. Prior to rejoining Gartner, Doug helped form and lead the Deloitte Analytics Institute, a global initiative to grow Deloitte’s multi-billion-dollar analytics business through marketing, social media, thought leadership, internal education, sales support, and recruiting. With BMC Software, Doug formed and headed its global services marketing organization, led the development and introduction of strategic service offerings for BMC, and was a member of BMC’s thought leadership counsel. Previously, Doug formed and ran the Enterprise Analytics Strategies research practice with leading IT advisory firm, META Group (now part of Gartner). In this role, he advised and consulted with IT organizations at major businesses and government organizations on relevant trends, architecture, best practices, and technology selection. Doug later co-founded, raised equity funding for, and was CEO of a market intelligence firm that provided a continuous, peer-based, empirical vendor ratings and reviews. Prior to META Group, Doug managed professional services for Prism Solutions’ Asia-Pacific and Midwest US businesses while providing data warehouse architecture services to clients and leading product development for Prism’s project methodology offering. Before Prism Solutions, he spent several years in the expert systems field developing decision support and natural language query systems. After receiving a degree in Software Engineering and Business Administration at the University of Illinois, Doug began his career at Andersen Consulting (now Accenture) where he managed multi-million dollar data management engagements. Doug lives in Chicago with his wife and son where he bikes, plays competitive tennis (and non-competitive golf), is a volunteer Junior Achievement instructor at local grammar schools, advises startups at the 1871 entrepreneurial space, and is on the University of Illinois Department of Accountancy advisory board. I have received the PDF Version and hardcover of the book, great quality of printing and paper. (Let’s talk about writing a review for special books such as Infonomics before reading my review, as a book reviewer I admit and believe you should be familiar with genre of the book that you’re reading and writing your review or feedback, otherwise you won’t be able to provide a good, honest, unbiased or beneficial feedback to its author, or publisher, which would cause the decrease in credibility as well. Infonomics Book, Is written in a comprehensive and not concise way of introducing Data and Information to CEO’s and CFO’s and leaders or managers in all industries. 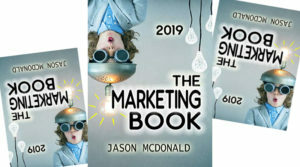 this book provides more value in your company, by harnessing your own “covered” data or other companies (3rd party, partners, etc) information. 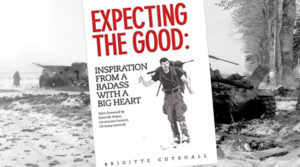 The author began with an old story of watching the first live stream and the fascination with multimedia information technology and what empowers them was the major motivation for him to study and work in this field. He continues by showing his concern that senior executives don’t treat information, the health of it as they claim, but instead spending their time and effort on other tangible assets which are not acceptable in today’s data age. 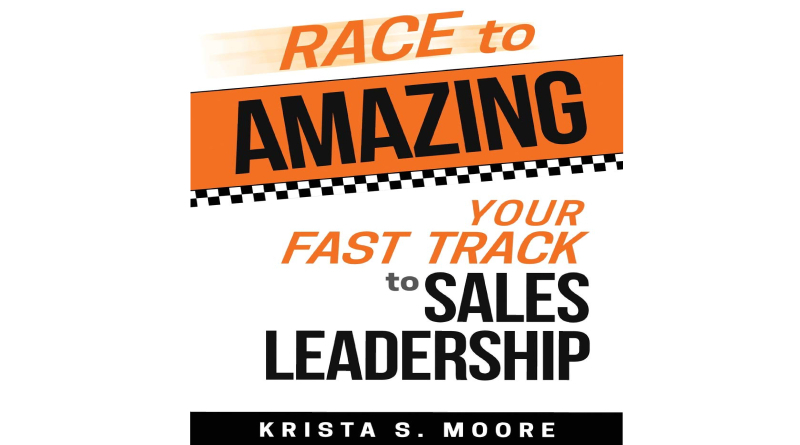 The author provides you with examples of different industries and data-driven efficiencies which enable you to focus on most profitable products/services. those examples also teaching the audience how successful companies on the same market are connected to each other by using the shared information, which has mutual benefit for both companies and the consumers as well. He also is claiming that monetizing data in all industries has an endless way. he covers the myths of monetizing which like a barrier hinder business leaders of considering it. the “Infonomics” is reminding them, using the indirect data not just reduces the cost but increases the conversion in their business. The author has understood the true value of data and its certain degree of liquidity (not as liquid as cash) and recognized the core of the problem in companies, and he offers the resolution, which is the managing the information with the same discipline as their other assets in long-term program, which evolves over time. I’d like to thank Douglas B. Laney for providing me a copy of this book along with PDF version, in exchange for honest and unbiased feedback for the book. I also have purchased the audio version, which I highly recommend. Sometimes you want something someone else has but are unwilling to or cannot pay the cash price they’re asking. Or maybe you want to keep the exchange off-book for reasons of privacy, reputation, or taxation. In these cases, it makes perfect sense to revert back to the most ancient form of commerce: bartering. As explained in chapter 1, “loyalty-based discount” is code for “free stuff in exchange for information about you and your purchase.” More than your loyalty, grocers and other and merchants with similar programs are after your information. Exchanging information for goods and services is the basis of the upstart business HERE Life that affords students at the Universities of Illinois and Kansas special iPads, shared automobiles, and swank apartments in a new building in which their every movement (well, almost) is tracked and recorded. In turn, HERE Life markets analyses of this information to major consumer brands. Recently, we see companies purely in the business of accumulating and monetizing information benefit from stratospheric valuation multiples. But why should they be the sole purveyors of information? Retailers, mobile and internet service providers, energy and utility companies, and financial transaction processors are on the leading edge of bartering with information. This is because most information bartering examples today involve customer data. But other kinds of business information are becoming accepted currency as well, such as the retail product categorization and basic market data IRI trades with its customers in return for their transaction feeds. In industries like manufacturing and shipping, making operational data available to others throughout the business ecosystem is becoming more commonplace, and expected by business partners. While bartering with information for goods and services may make sense in a consumer product–oriented ecosystem, in the B2B world, discounts frequently are prearranged or based on volume. Sometimes, however, it’s easier to win favorable contract terms in return for sharing information. Moreover, the liquidity and regulatory conspicuousness of money can make information a preferable form of currency. Traditionally, favorable terms and conditions are offered to customers in good standing or based on guaranteed purchase volumes. More often, however, they’re based on the exchange of information. In the case of at least one major airline manufacturer, detailed visibility into its suppliers’ operations, processes, inventory, and other business dealings gives it increased supplier confidence which it rewards with favorable contract terms. -Which Role Does Information Play in an Information Ecosystem? These analogies make sense. Information fuels business processes and businesses themselves. It is also a lubricant for commerce. It is fairly abundant (depending on one’s climate and topology), can be collected and processed and stored. And it can even be bought and sold as a commodity. Previously we covered questions about information ownership, which according to courts around the world may yet be resolved. However, the asset defi nition specifi es that an asset must be controlled by some entity. Accountants assert that control is easier to establish than is ownership, particularly for intangible assets—so when control alone can be ascertained for something, it is most often afforded asset status. Control must be asserted or demonstrable via past events such as the asset’s purchase or self-creation. Again, there’s no arguing that all information is either collected via past events or generated by entities themselves. I would further argue that since information can be copied and shared easily, rendering it indistinguishable from the original, control must be asserted also by maintaining its proprietary nature within and among the entity, its agents, or its licensees. Conversely, if you are publicly and freely sharing your data outside your organization with no contractual protection or means of enforcement, then you have lost control of it. You may retain rights to it, but its external use is beyond your control. Therefore, you cannot legitimately claim ownership of it any longer. The standard further specifies that recognizable intangibles must be “identifiable (either being separable or arising from contractual or other legal rights).” This opens up another can of questions. Is information separable? And does (or can) information have contractual or legal rights? 3) a propensity for developing systems on the cheap. Today, information generated by one function is leveraged regularly in a multitude of ways. In effect, it is becoming unbound. It may take another generation of IT and business people to see and talk more comfortably about information as its own separate entity. From a data management standpoint, most types of information are easily separable, even if they are co-located in the same database or content store. For instance, you can separate customer data from transaction data and your vendor contract documents from your employee performance assessments.